And it was found as a stray in Florida through the help of the Dachshund’s microchip. We heard the story this morning on CNN but couldn’t find it on their website. It was such a wonderful story that we scoured the internet to find it. Dachshund’s can be some of the cutest lap dogs. 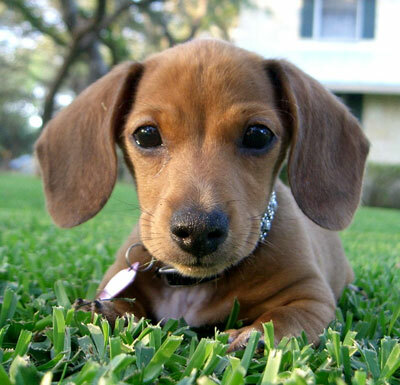 Take a look at this cute puppy — (this is not the lost Dachshund). Abby Mason thanked her mom and a fellow Dachshund owner named Krista for helping pick up the stray dachshund in Florida where it turned up after 6 months. A microchip saves the day once again.